Are you curious to use Galaxy Note 6, the great device coming with special features that can magnet your attention easily. In no distant time, it will be ready for you to buy and use. 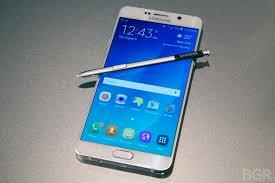 First, it was Galaxy Note 5 which Galaxy Note 6 is now a successor to, was reigning all over the town, or though the device came out with its sophisticated features that attracted all. But the successor which is Galaxy Note 6 is coming with times 2 greater features that can in no way be compared to Note 5. 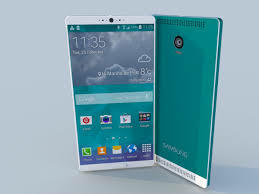 The Samsung Galaxy Note 6 is scheduled to come out by August, 15th of this year 2016. As you may know, the launching event will take place at United States, but no actual venue over there yet even that of the time, not yet disclosed to people. and is powered through a Snapdragon 823 SoC chipset is embedded with a 6GB or 8GB RAM size. it's clear to us that the lite version of the smartphone would feature a 4GB RAM element just with a Snapdragon 820 chipset. The device is coming with some of this features as being confirmed from the source. Some of the features include a USB Type-C port, IP68 strong water and dust resistance, a 4,000 mAh capacity battery and a BlackBerry-inspired Samsung Focus suite of applications. The device should sport top-of-the-line hardware also, since Samsung company has really turned up the heat on its flagship Mobile phone designs over the previous years. And could come with a curved display version also. That's all we have for Galaxy Note 6 for now. More specifications and details about it will be unveiled as soon as possible we lay our hands unto it. Always stay tuned for the upcoming stat about this device.